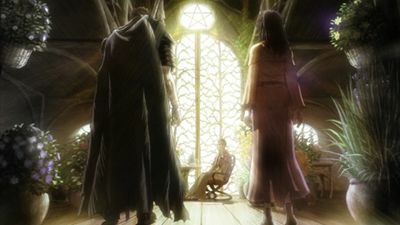 Guts and party resume their journey to Puck’s home, an island called Skellig that exist between the planes and is home to both elves and mages. 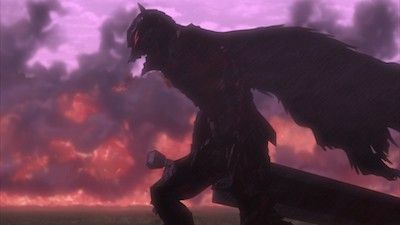 Skull Knight warns Guts of the effects of using the Berserker Armor. 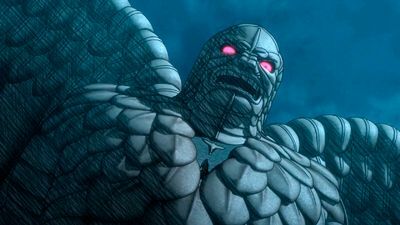 At night they are attacked by giant humanoid crocodiles controlled by Kushan sorcerers. 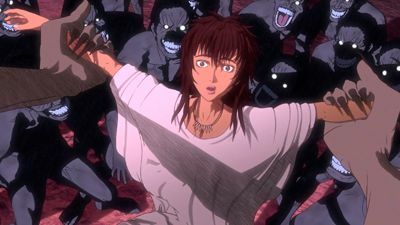 Guts' band are not welcomed kindly when they arrive to help dispel trolls from a nearby village. Despite this, they manage to be allowed to stay the night, hoping they can intercept the trolls. 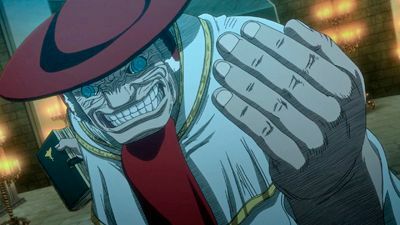 Soon enough, the trolls come, but unlike before where there were just a few...the entire heard comes storming upon the city. 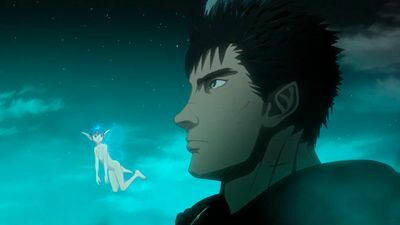 While speaking with the witch of the forest, she tells Guts she is much more knowledgable of his situation than he thought. She indicated someone has told her to expect them. 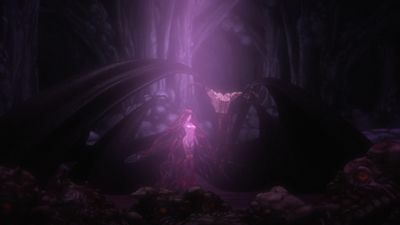 Guts is keen on finally getting some answers to all of his questions, but the witch can sense Guts' inner turmoil. 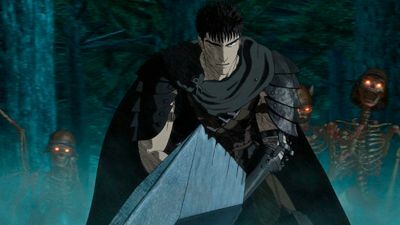 She has her young apprentice join Guts' band to help remove trolls from a nearby village. 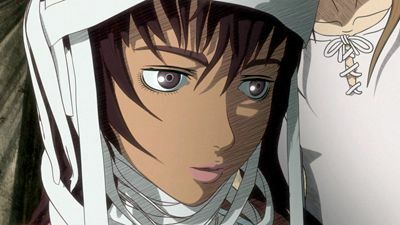 Farnese has a moment of self-realization as she tries to adjust to her change in circumstance. Her abrupt about-face surprises Guts and his comrades, but nothing prepares them for the surprise audience with a witch in the forest who seems to know everything about them. 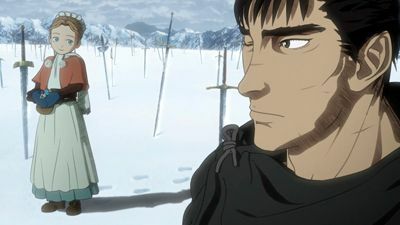 Guts manages to get Casca back at Albion and returns to Godo’s shack. 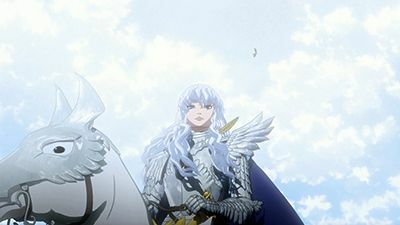 There, he sees Rickert talking to Griffith, who had just regained physical form in Albion. 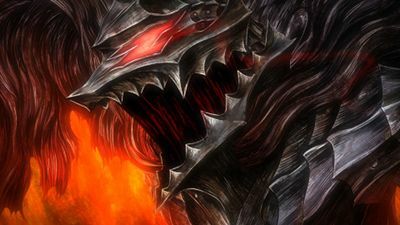 Guts is unable to hold back his rage and attacks, but Zod gets in his way. 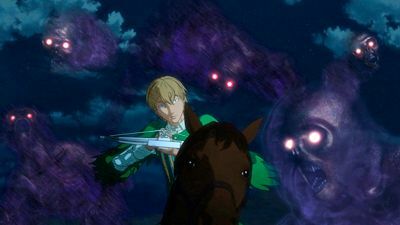 An intense battle between the two who have improved their swordsmanship begins! 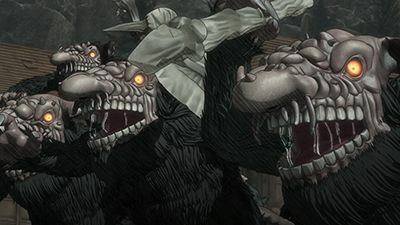 Guts' group approach the city of Vritannis where Ishidro upsets Schierke about her witch’s clothing. 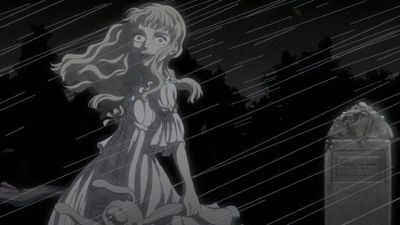 Schierke's learns that Vritannis traded in Kushan slaves, but all the slaves have been hanged as religious enemies of the Holy See. 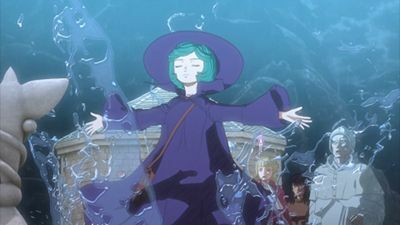 Schierke adn Ishidoro save a group of children from pirate kidnappers. 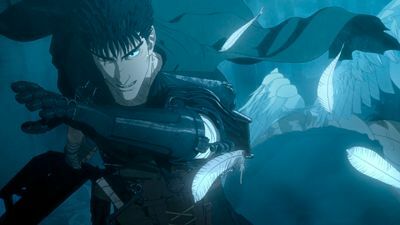 Intent on finding Casca, Guts continues his journey toward the Tower of Conviction. Meanwhile, Farnese is already there, witnessing unspeakable horrors committed by those who serve the Holy See. 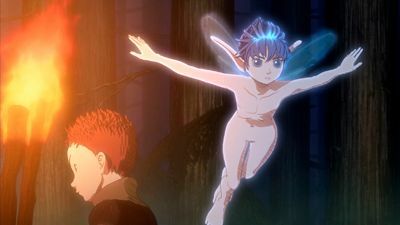 Guts and Puck are taken aback by Farnese's inability to see the elf. 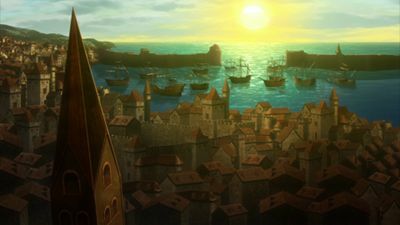 However, Farnese's refusal to accept anything beyond what she considers to be real in her world is about to be sorely tested. 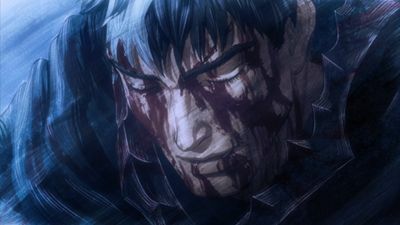 Guts returns to a place he'd left two years ago to reconnect with old friends, but finds that someone he holds most dear has vanished. 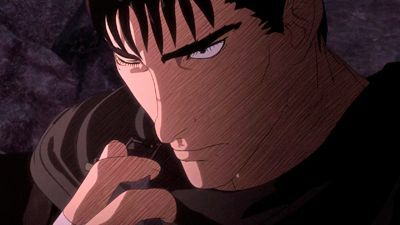 Guts tries to lay blame, but he is not entirely innocent. 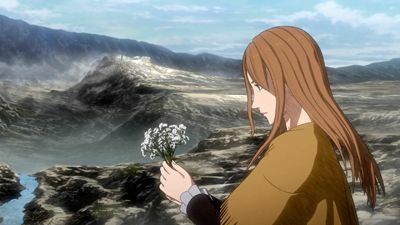 As Mozgus and his men continue their witchhunt for heretics, Farnese can't help but feel a twinge of doubt. 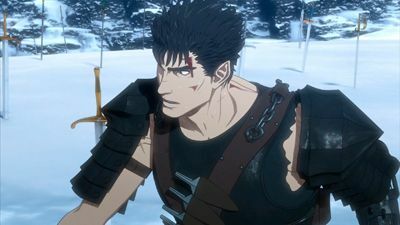 Meanwhile, Guts unexpectedly encounters a familiar face, who brings ill tidings.